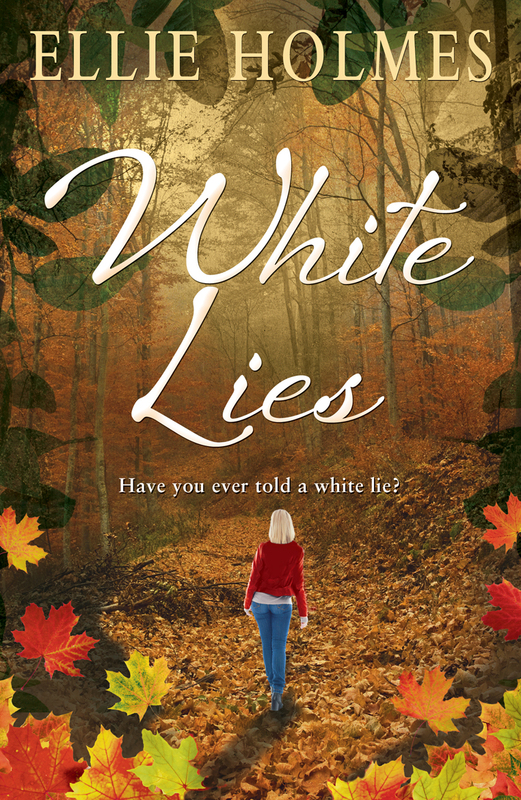 Today I have an interview with Author of White Lies, Ellie Holmes. This series has grown to become so much more than I ever thought it would, and I am pleased to say it will be continuing for the WHOLE of 2018. I have some of the most friendly authors coming to it. However, I am getting off track, let's pull back and learn more about Ellie. My first full-length novel, The Flower Seller, was published in June 2016. White Lies, my second full-length novel, was published in June 2017. I have also published two novellas – The Spanish Galleon and The Tregelian Hoard. In addition, each week I write a blog available atwww.ellieholmesauthor.com about writing and anything else that has taken my fancy. I was lucky enough to win a Chill With a Book award for The Flower Seller, which was also runner up in the Words for the Wounded competition. The same book also achieved Awesome Indie status. I am a member of the Alliance of Independent Publisher and the Romantic Novelists’ Association and I am also a member of the Social Media Team at the Romantic Novelists’ Association. ii. Where can we buy or see them? The Tregelian Hoard and The Spanish Galleon are also available through Linford Romance in large print editions for libraries and hospitals. iii. Give us an insight into your main character. What does he/she do that is so special? The lead character in White Lies is Sam Davenport. Sam is a hardworking mother to two children who has to juggle looking after her children alongside running her business. When Sam is confronted with a moral dilemma at the start of White Lies she has to make a snap decision about what to do. Once she’s made her choice she has to stick to it. I wanted to write about a character who tells a lie at the start of the book but then continues to lie, sometimes with the best of intentions, sometimes not. These lies eventually pile up with unexpected consequences for Sam and all around her. Sam is a complicated character and isn’t easy to like because of the choices she makes. However, I hope readers will put themselves in Sam’s shoes as the book progresses and ask themselves ‘What would I do in a similar situation?’ I also wanted to explore the fact that often the biggest lies we tell are the ones we tell ourselves. iv. What genre are your books? I write commercial women’s fiction. Books with heart and soul and a dash of danger. v. What draws you to this genre? I have always been intrigued by deception in all its forms and the relationships we have with each other but also the inner relationship we have with ourselves. vi. Which actor/actress would you like to see playing the lead character from your most recent book? I think Jodie Whittaker would be a good fit for Sam although now she’s going to be the new Doctor Who she probably wouldn’t have time. vii. Have you written any other novels in collaboration with other writers? If not, is this something you would consider? I haven’t but it might be interesting to try particularly across genres. viii. Do you write full-time or part-time? I write part time which gives me the opportunity to refill the creative well when I’m busy with the day job. ix. Where do your ideas come from? I get ideas from everywhere – a news item might catch my attention or sometimes I’ll see a picture and start weaving a story around it. For instance, I read an article recently which said that a larger proportion of the UK prison population are left handed than you would statistically expect to be the case. I need to read up on this to see whether it is in fact true but if it is there must be a story waiting to be told right there. x. Do you work to an outline or plot or do you prefer to see where an idea takes you? I always know where my stories start and where they will finish, the rest is a voyage of discovery. I do write character notes however for all my main characters – their strengths, weaknesses, problems and fears, that sort of thing. xi. How do you think you’ve evolved creatively? I’m more prepared to take risks with my writing now. It took me a long time to find my own voice but there’s a freedom that comes from discovering your voice and I enjoy telling stories my way. xii. Any tips on how to get through the dreaded writer’s block? I think writing is a habit and we have to show up and put the hours in. Sitting at a desk or a table and just writing something on a regular basis will carry you through until the creative juices start flowing again. Trust the process and don’t be too hard on yourself in the meantime. xiii. How did you get into traditional publishing? xiv. Would you ever consider self-publishing? I am what is known as a hybrid author – both indie and trad published. I had a long and winding route to publication – more country lane than motorway but I’m a better writer for having taken the scenic route. I had an agent for a number of years but actually found success when I struck out on my own and decided to indie publish. In the process of indie publishing I landed my first trad deal and two more have followed. Sometimes you have to make your own luck and engage with the business. You also need to be open to opportunities because you never know where they might lead. xv. What advice would you give writers who want to go down the traditional publishing route? Do your research. Whether you are approaching an agent or a publishing house, check to make sure they are open to submissions and crucially they are interested in the genre you are writing in. It sounds basic but so much time and effort is wasted by submitting to someone who, however good your writing is, would never be interested because it just isn’t their thing. I would also advise people to keep working at your writing and never give up hope.